MDOT reported the closure just before 5 p.m. Monday. 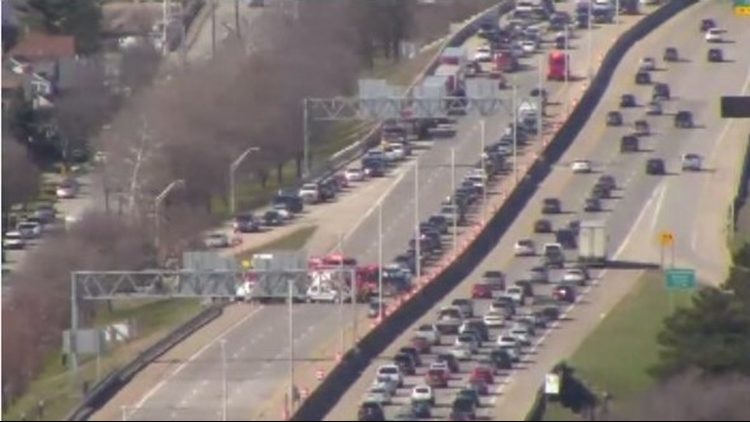 GRAND RAPIDS, Mich. - Southbound US-131 just north of Grand Rapids was closed for over an hour because of a crash, according to MDOT. The freeway was shut down just before 5 p.m. and MDOT said it opened around 6:20 p.m. The incident blocking the southbound lanes near Leonard Street during rush hour Monday. It caused back-ups for drivers heading into Grand Rapids.